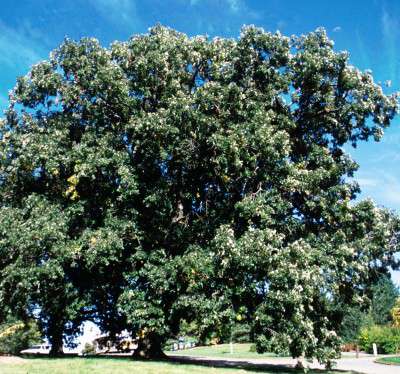 This beautiful, large oak is native to the southwest and grows along many rivers in northern New Mexico. It has attractive corky bark that is especially interesting in winter. The large, deeply cut leaves are glossy green in summer turning a beautiful golden-yellow in fall. 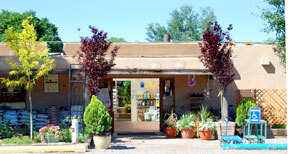 A great xeriscape plant, it tolerates a wide range of soil types and air pollutants. It is drought tolerant once established. It is a long-lived tree, so planting one now could be appreciated for generations to come.